Many people don't think of fish when they think of authentic Irish cuisine. But remember, Ireland is surrounded by ocean. Very little that can be harvested from the Atlantic isn't traditional. 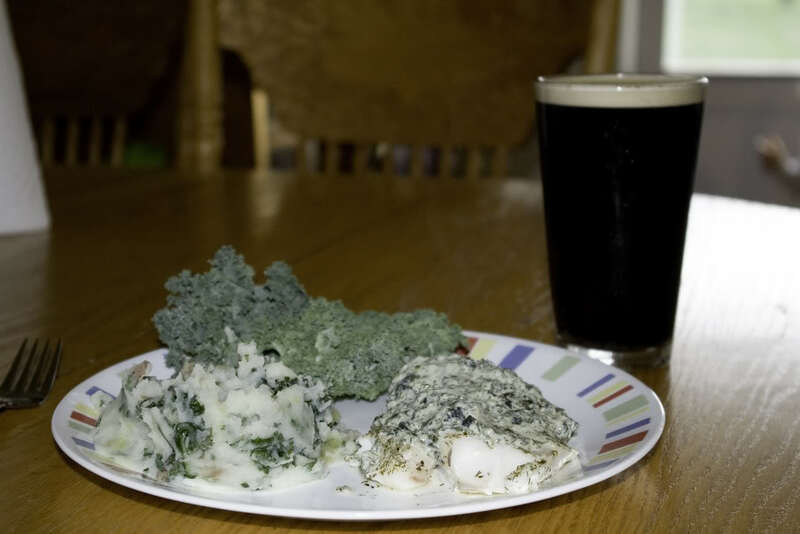 Baked Cod with Creamy Seaweed Dill Sauce. Served with Colcannon and Guinness. Dust the Cod fillet with 2 tsp dill weed, 1/4 tsp salt, and pepper to taste. Bake at 350 F for 30-40 minutes. Melt Brummel & Brown in skillet on med-high heat. 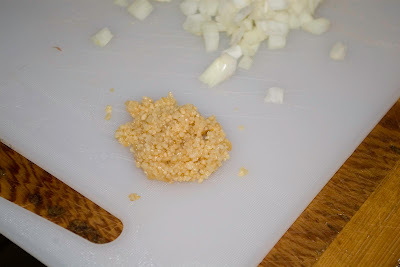 Add minced garlic and sautee lightly. Slowly add milk (whole really is better here), stirring constantly. Reduce heat to low. Crumble two sheets of Seaweed into the milk. Add 1 Tbsp Dill Weed, 1/4 tsp salt, and a dash of pepper. Simmer until liquid is creamy (approx. reduced by half). Drizzle sauce over baked fillet and serve.